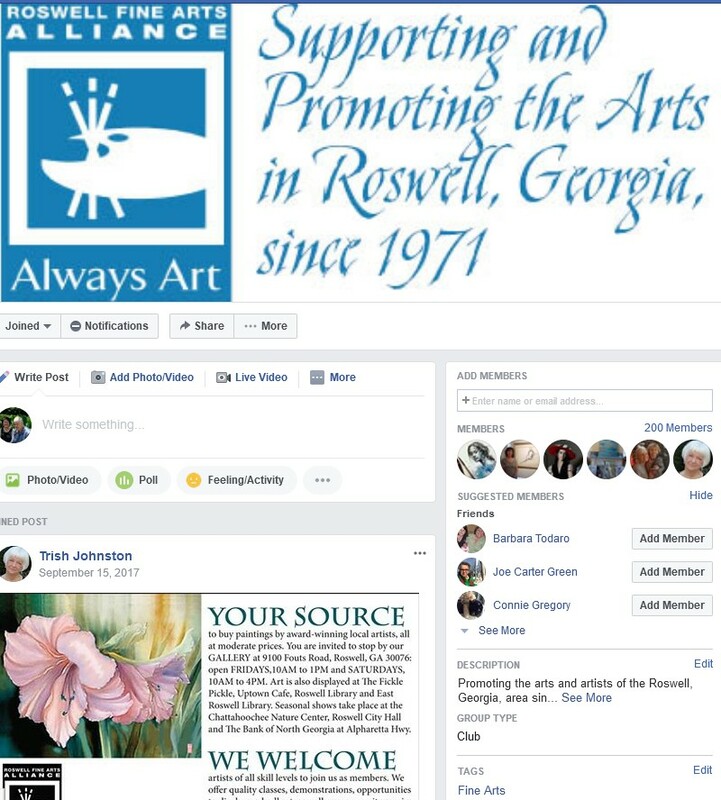 You have just joined Roswell Fine Arts Alliance because you’ve heard what an active fun organization it is. You only know one or two members and you have no idea about entering shows or selling at venues. What to do? 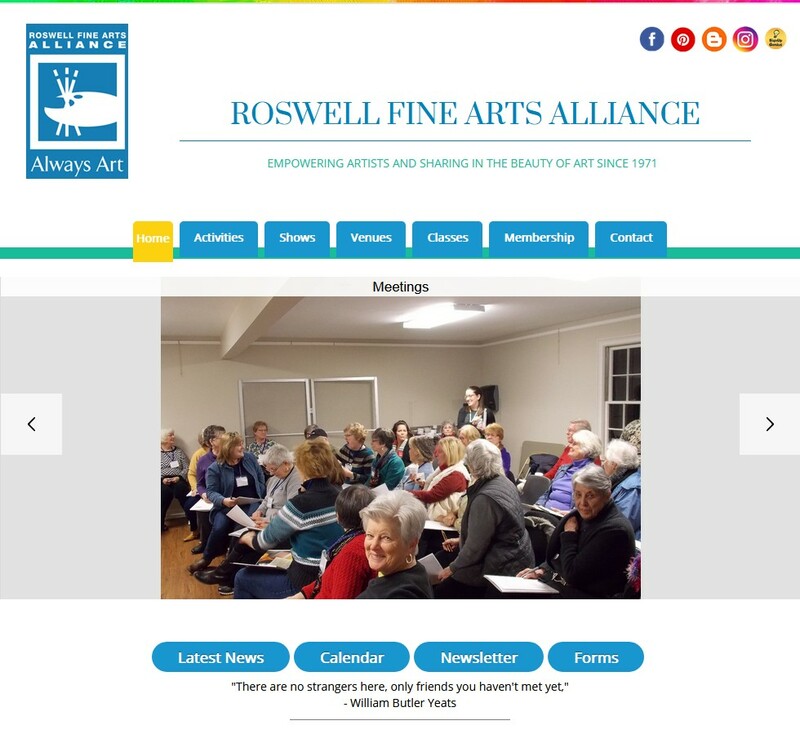 Go to our website: www.RFAA.org You’ll find information about every aspect of the club with our current Newsletter, photos, Forms for shows and venues, locations of events and most important a current CALENDAR. HINT: In a hurry? Scroll down to the bottom of any page to find the SITE MAP which lists topics alphabetically. Click on what you need. 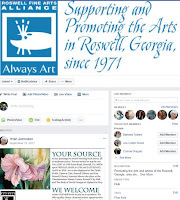 Volunteer: Because we have no paid staff, we rely on our members to help out with writing blogs, doing publicity, hanging shows, chairing venues, bringing food for events and numerous other jobs. Most don’t take much time and all are done by busy people like you. What better way to get to know your fellow members. Watch for calls for volunteers in our newsletter. Ask a Board Member: Our hardworking board members are happy to answer your questions or direct you to a source who can. Don’t be shy. We love to help our members enjoy and learn from being a part of this vibrant group. See the contact list at the end of each Newsletter.